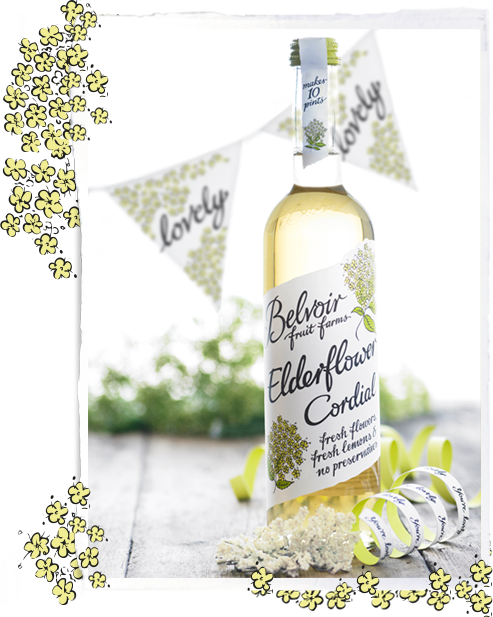 To celebrate 30 years of making their famous cordials and pressés, Belvoir Fruit Farms will be holding their first ever Elderflower Festival on Sunday 13 July. Set in the grounds of Knipton Cricket Club, just below Belvoir Castle, the festival runs from 10am to 4pm and will be packed with activities and entertainment for all the family. Sample and buy some of the tasty treats from local producers – browse for gorgeous gifts among the craft stalls – listen to live jazz music – and watch Morris and Maypole dancers perform. For the children, there’ll be street party games, juggling, balloon modelling and face painting, as well as the opportunity to enter the Elderflower Fairy Children’s Fancy Dress Competition, with a hamper of goodies for the winner of each of the two categories (5 and under and 6 to 11). Foodie fans will enjoy the cookery demonstrations by home economist Teresa Bovey, head chef of Les Rosbifs Restaurant Duncan Hooper and special guest Frances Quinn, winner of The Great British Bake Off in 2013. Frances will also be on hand to judge entries in the Elderflower Baking Competition. The results will be announced at 3pm, with a Belvoir Fruit Farms Hamper and a ‘Lovely’ clock for the winner of each of the three categories – Elderflower Cake, Belvoir Fruit Farms Cordial Cake and Lovely Cake – and a wooden ‘Lovely’ trophy for runners up. Admission to the festival is £1 for individuals or £5 per car. Visit their website for more details; and while you’re there, why not check out some of the yummy recipes and cocktail ideas too? < Let them eat cake!